As the quay-side band strikes up and your ship gently slips her berth, a ripple of excitement courses through your veins. For the next few weeks on your world cruise, you’ll explore some of the most exciting, beautiful and awe-inspiring destinations on the planet. A world cruise holiday is a truly unique travel experience. During your world cruise you’ll visit up to 39 ports, with several overnight stays in popular destinations to allow you to explore more. You’ll follow in the footsteps of sailors down the ages, taking in ports in Europe, the Middle East, Asia, Australia, North and South America and the Caribbean. You’ll cross the mighty oceans of the Pacific, Indian and Atlantic and you’ll see sights that will stay with you a lifetime. There are many different itineraries to choose from, whether you want to set sail for several months or take a 3 or 4 week segment of a world cruise, there is lots to choice. Speak to one of our World Cruise Specialists for help with planning your itinerary to perfection. 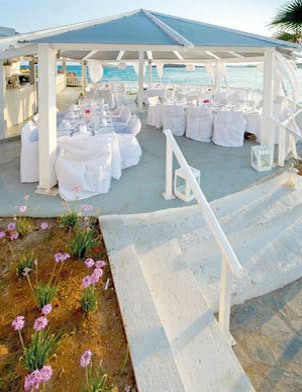 And if romance is in the air, why not choose to tie the knot whilst onboard? On a world cruise there are many days when the ship is sailing in international waters and so you can be legally married by the Ship's Captain. Or perhaps you are celebrating a special anniversary and would like to renew your vows at sea - we can help you with all the arrangements to ensure that the plans run smoothly and every last detail is taken care of.